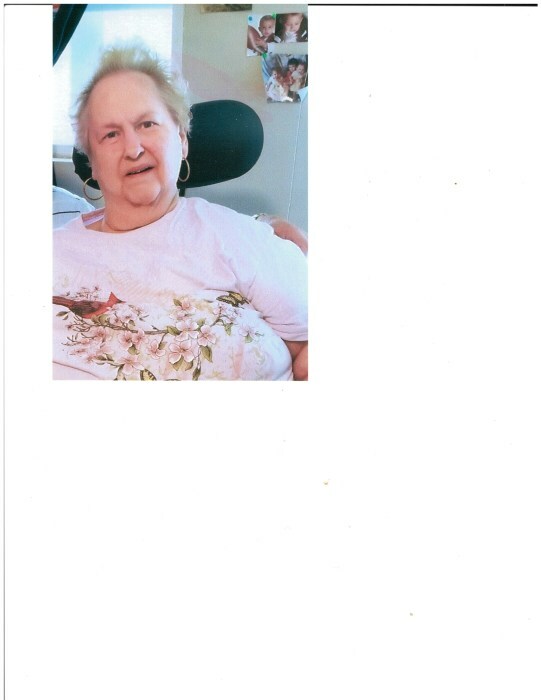 Gordon Sharon Kaye (Bennett) Gordon, born May 3, 1945 in Washington Court House, Ohio, died August 15, 2018, in her home, surrounded by her loving family. Born to parents, Harlyn and Pearl (Pierce) Bennett. She was a member of the London Grace Church and had worked at the London Presbyterian Church Daycare in the cafeteria. Sharon was always smiling, even up to the end, never complaining about the pain or sickness. Her favorite saying was, “pray about it”. She loved her family, especially her grandchildren that she would enjoy watching them grow. Along with many memories made with her the main ones is during a cookout she let a “bad” word slip out and the day she wanted to have a wiener roast on a 90 degree day, to be followed up with “it sure is hot out here” while roasting a hot dog. She is preceded in death by her parents; in-laws: Harvey “Dutch” and Dorthea Gordon; grandson: Angel Denen. Sharon is survived by her husband George Gordon, whom she married June 15 1963, having 55 years together; daughters: Tracy (Doug) Gibson; Tammy DeWitt (Don Hunter); grandkids: Phil (Misty) Denen; Dustin, Lance (Ashten Roseburry) Denen; LeAndra, Erika (Jamal Carlos) Denen; Cameron (Kyli McKinney) Denen; Desira Johnson; Gordon DeWitt (Adrienne Rodgers); Brandy DeWitt (Joe English); Andrea (Zach) Gilbert; 14 great grandkids, with one on the way, due in October, that Sharon was looking forward to seeing being born. Brothers: Duane (Carol) Bennett; Merle Bennett; Dean (Jennie) Gordon; Keith (Debbie) Gordon; sister-in-law and best friend, Gladys Powers; a ton of nieces and nephews. A funeral service will be celebrated 11:00 AM. Monday, August 20, 2018, at the London Grace Church, 715 US 42, London, with Pastor Dave Flowers officiating. Interment service will follow at the Oak Hill Cemetery, London. Friends may call at the church for 2 hours prior to the start of the service. Memorial contributions may be made, in Sharon’s memory to the London Grace Church or Vitas Community Connection, 655 Metro Place South, Suite 770, Dublin, Ohio 43017. Online condolences may be sent to: www.rldfh.com.